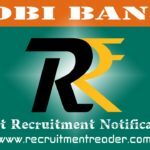 Latest MMRCL Recruitment Notification 2019 – Mumbai Metro Rail Corporation (MMRC) Limited invites applications for the positions of General Manger, Dy. General Manager, Executive Assistant to ED, Accounts Officer, Dy. Engineer, Community Development Assistant, Surveyor, Sr. Assistant to Company Secretary and Jr. Assistant (IT) on regular/ deputation and contract basis. MMRCL announced 13 vacancies for these posts. Candidates who have eligibility may apply online for current vacancies at Mumbai Metro Rail (MMRC) Careers. The Last date to submit the online application is 18.03.2018. Online Registration link has been activated form January 28, 2019 (28.01.2019). Before apply for the position, it is necessary to check the eligibility conditions for the positions. So read the advertisement carefully and particularly check the eligibility conditions given in the advertisement. Also have knowledge of job profile, job responsibilities, job requirement, selection process and application process from the advertisement. For deputation basis, application should be forwarded to the Managing Director of MMRCL through proper channel in prescribed format. Upper age limit is 35/40/57 years. Degree in Engineering/ Diploma/ CA/ ICWA/ SSC/ Degree/ Master Degree in relevant disciplines. Look into MMRCL advertisement for more details of qualification. Logon to MMRCL Website and then locate Careers Page. In Careers page, find the advertisement MMRCL/HR-Rect./ 2019-01. Read the advertisement in PDF completely and then apply online for the recruitment. Complete the online application process and take a printout of the application for your reference. For deputation basis, follow the application procedure given in the MMRCL advertisement. 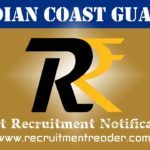 Find upcoming MMRCL recruitment notifications @ Recruitment Reader. 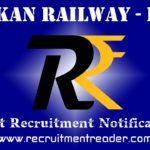 For more details regarding MMRCL Recruitment Notification 2019 logon to www.mmrcl.com. The information given above is based on the Mumbai Metro Rail official advertisement. Mumbai Metro Rail Corporation (MMRC) Limited invites applications for the position of Executive Assistant, Accounts Officer, Dy. Engineer, Jr. Engineer, Sr. Assistant and Driver on deputation/ Contract basis. MMRCL announced 15 vacancies for these posts. 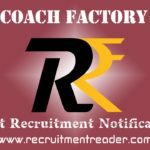 Candidates who have eligibility may apply online for latest vacancy at Mumbai Metro Rail (MMRC) Careers. The Last date to submit the online application is 10.08.2018. Upper age limit is 35/40 years. Degree in Engineering/ Commerce/ Diploma/ CA/ ICWA/ MBA/ SSC. In Careers page, find the advertisement MMRCL/HR-Rect./2018-04. 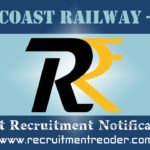 For more details regarding MMRCL Recruitment Notification 2018 logon to www.mmrcl.com. The information given above is based on the Mumbai Metro Rail official advertisement.